Eligibility for Shihan requires holding the rank of 6th dan for a minimum of 6 years. Shihan is an appointment designated by Aikikai World Headquarters at the recommendation of Yamada Sensei. Receiving Shihan certification is not automatic as there are several other factors taken into consideration. Shihan can test USAF members through 3rd dan. 4th dan testing must be administered by Shihan of the Technical Committee. No additional power or authority accompanies the title of Shihan, rather it shows ones qualifications as an Aikido instructor of the highest level. 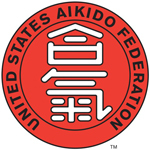 Shihan certification is organization-specific and cannot to be transferred outside of the USAF.